It doesn’t matter if you have a Chevy truck or car, you might be making a visit to your nearest Chevy service department during the colder months. It’s that time of year, and mother nature’s wintry force is finally in full swing. Which means your car is likely to have some unique issues that only this type of weather can cause. Everything from your tires to your engine is at risk, so pay attention to the many ways how cold weather can affect your Chevy. I suppose this heading is a little misleading; the cold doesn’t just affect your tire pressure, but your tires themselves too. A couple different things can go wrong with your tires in frigid temperatures. The tire pressure is the most noticeable of these issues, and it fluctuates depending on the temperature. When it’s warm out the pressure inside the tire will expand, which means when it’s cold out, the pressure decreases. Not only that, the valve stem could crack from the cold. Which means it could be leaking, causing your tire to lose pressure that way. The cold also affects your tires in a physical way as well. Since most tires are still made of rubber components, the cold can freeze them. This causes your tires to harden, and makes them more prone to cracking or greater risk of popping a flat. Also, it can cause tread and gripping problems. Winter tires are made to combat this issue, but most all-season tires will still harden. Ever wonder why you need to check your transmission fluid while the car is running? It’s because when the engine is off, the transmission doesn’t have any ATF cycling through it. Which means, after the car has warmed up you will get an accurate reading of how much ATF is actually circulating through the transmission. Which is why in the cold, it’s imperative to let your car warm up before you run it. When you first start the engine in colder temperatures, it takes the transmission fluid (ATF) even longer to circulate through the transmission. Why? Because the cold temperature has caused it to thicken. Driving the car before it’s had a chance to warm up could seriously damage your transmission, since the fluid hasn’t had the chance to lubricate the gears inside yet. Not only will the ATF thicken and cause problems, so will your oil and braking fluid. 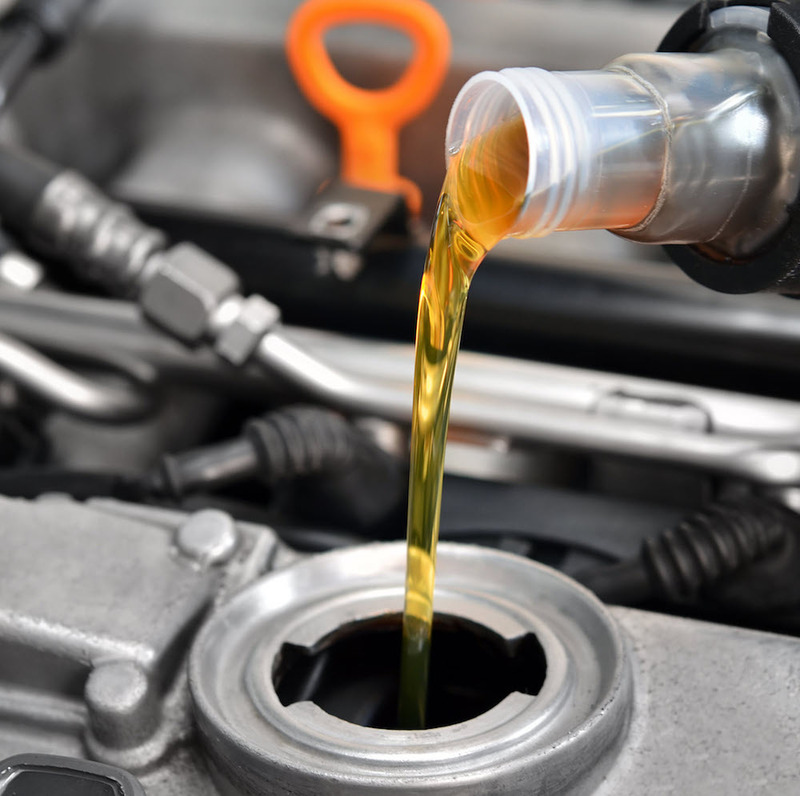 Since the oil is an important component of the engine’s working process, if it thickens that could cause some issues when the engine is trying to run. Braking fluid can also thicken, and this is almost as dangerous as thickening transmission fluid. This could cause brake lines to burst easier when you step on the brake pedal, or the brakes might not perform with the right amount of fluid when you need them most. Your Chevy is going to need some time to let its fluids warm up, that way it can get back to a regular state. If not, your engine and transmission will run different than normal, and you could possibly damage them. The oil isn’t the only thing that becomes funky with your engine in the colder months, it also runs much richer. What this means is your engine is running a much higher gasoline-to-air ratio. This happens within about the first 20 minutes of turning the key, and after it’s had a chance to warm up, it won’t run as rich. Also, if the gasoline-to-air ratio goes up, that means the engine is burning more fuel. Which means you will be stopping at the gas station a lot more in the winter. On top of this, before the engine has a chance to fully heat up, water vapor will build up in the motor oil and exhaust system. Which means repeated short trips are actually more detrimental than a single long one. Why? The engine might never have the chance to warm up properly in order to burn off that water vapor. This means fouled oil, and possible rust in your exhaust system. On top of this, the heaters that keep you toasty warm will take a while to perform. This is because, in a nutshell, the heater heats up the cab by using warmth generated by the engine. Which also means putting your heaters on immediately when trying to warm up the engine will cause the heater to actually sap heat away from the engine. The engine block is also at risk of cracking. If you don’t have the proper coolant in it, the fluid can freeze and actually crack the block. This puts your car out of commission until you get it repaired; and it’s a costly one. Even your battery is at risk during the frigid temperatures, and might struggle to work. The cold weather goes much farther than just messing with how well the battery works; it can actually leech the voltage away from your battery. In turn, the charge that’s needed to start your battery isn’t there, meaning your battery could be dead when you go and try to turn the car on. Also related to electrical components, the spark plugs might falter or fail. Why? It’s a simple explanation: electricity just doesn’t work well in cold conditions. In colder temperatures, glass is much more prone to cracking when mistreated. Whether it’s the windows or windshield, introducing any type of heat to it quickly could cause it to crack. This is why using hot water to clean off your windshield in a hurry would be a bad idea. They have a specific type of de-icing windshield-washer fluid to help when your windshield freezes over. Also, if you don’t use the right type of washer fluid in the winter, it will freeze. Leaving you without washer fluid until it thaws, and possibly a cracked plastic container. 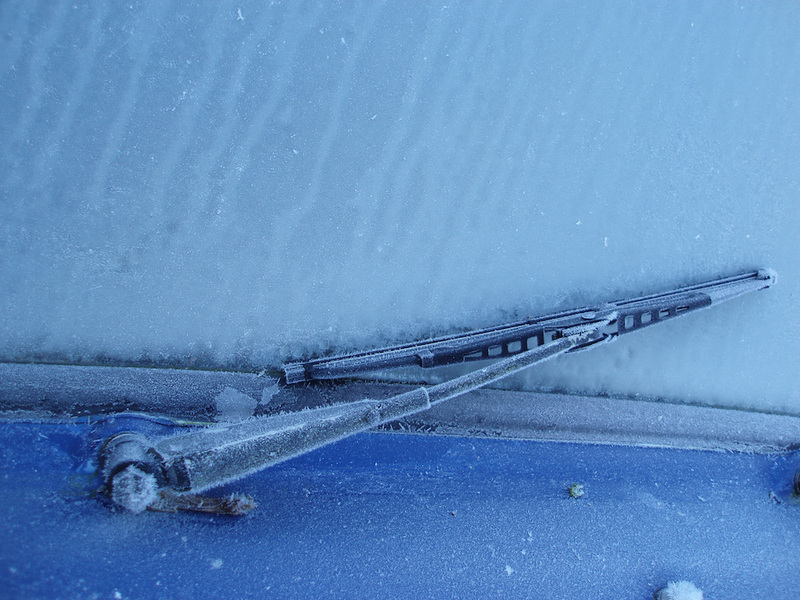 Wipers are at serious risk in the winter as well, if they accumulate too much ice they can become damaged. Or, they could ultimately freeze to your windshield. Meaning when you finally do get the windshield thawed and turn your wipers on, the rubber piece on them that’s responsible for clearing off your windshield could be ripped or mangled. 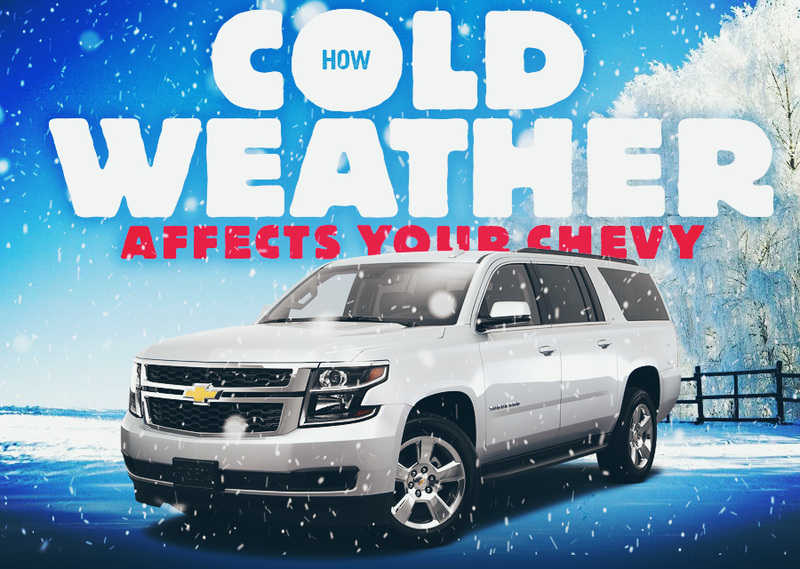 The cold can affect your Chevy in more ways than you think, but there are three simple preventative measures. Change out any seasonal parts of your car before the cold weather gets here (ATF fluid, oil, tires, washer fluid, etc. ), let your car warm up in the morning, and regularly check your vehicle in the winter. If you do these things, your car will spend less time visiting the shop, and more time on the road. Paying you back for taking good care of it by providing you with a toasty-warm and reliable ride in the cold winter months.